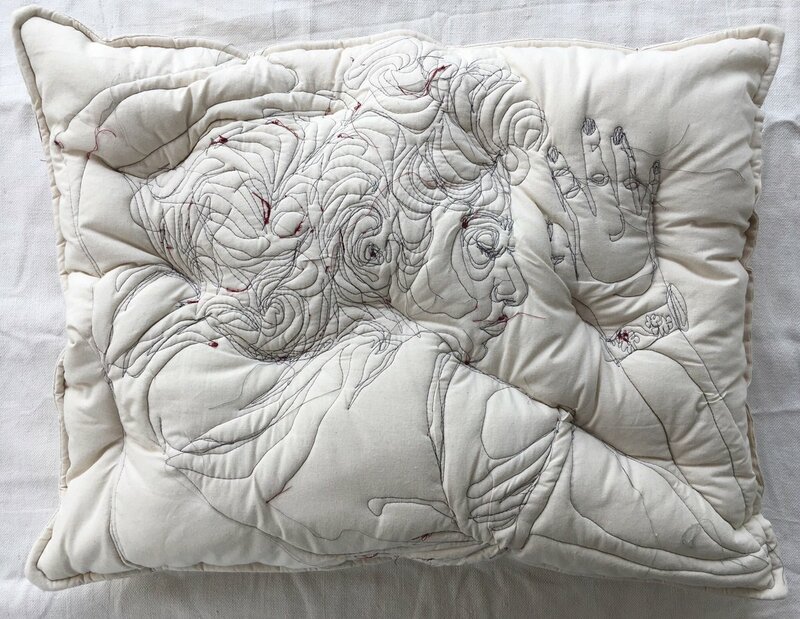 Maryam Ashkanian’s stirring “Sleep” series offers embroidered figures on pillows, with threads creating a sculptural landscape on each canvas. The works carry both an intimacy and are part of a broader practice that implements textiles and painting into unexpected forms. The fiber artist is currently based in Iran, where she operates her studio.